People seem to be a bit concerned these days about placing proper Antiques into a modern setting. Given that more of us are living in modern settings I just wanted to show how pretty this scene is. 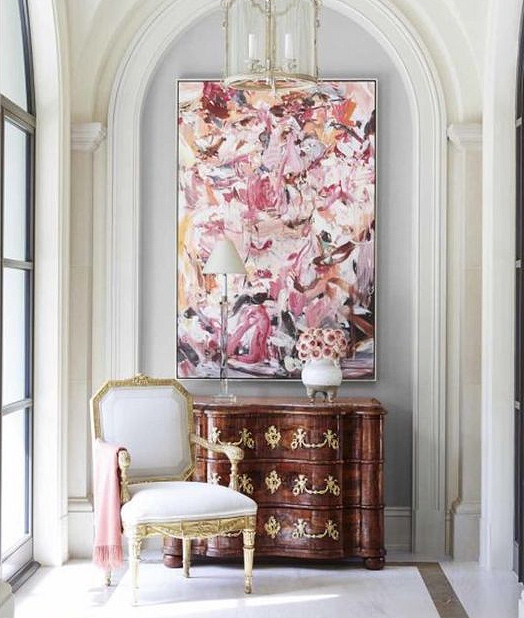 The beauty of the modern art with the commode and gilded chair, and the pink throw that ties it all together.